can i use Skype with this phone? I have activated Bluetooth in my phone but it can't receive information from phones. What could be the problem? my ideos has a problem with loading and reading sdcards.what's wrong? anyone help. worried, 07 Apr 2011hello Guy, I bought this fone in February, so far is the best. nway recently it has bin havin... moreSimple answer is to put down the phone, go to the library and borrow a dictionary. With this amazing tool you'll be able to develop simple abilities such as speaking correctly and typing whole worlds. Please come back when you have a clue on how to communicate properly. 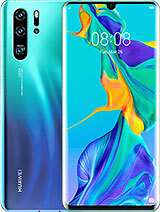 Can i use facebook chat with this phone? worried, 07 Apr 2011hello Guy, I bought this fone in February, so far is the best. nway recently it has bin havin... moreYeh it seems to slow down a lot after you install a few apps. You are not meant to use task manager with linux due to the way it works (it uses the max amount of memory so that time when you don't use the extra part of the memory isnt wasted), but I found killing some unnecessary apps using "free advanced task manager" seemed to make it go as fast as when it was new. hello Guy, I bought this fone in February, so far is the best. nway recently it has bin having a problem since sometimes it doesn't display a thing on the screen,or wen some1 calls it rings but doesn't display anything. am worried, any1 with such cases??? Blackcode, 29 Mar 2011i bought this phone 2 months ago, installed lot of applications, working good so far no proble... morewhat kind of Nokia charger did u buy- for which phone model? oketch ruben, 31 Jan 2011android 2.2(froyo) supports wifi teethering u can use that feature to browse in your lapy.can you tell me how to connect the phone to internet through laptop. Lovely Smartphone, It's Literally amazing if you moved from a normal feature to this. If you've got a lot of apps running in the background it can get a little laggy but still no problem as with just one touch you can exit them all due to an app on the market called Advanced Task Killer, works like a charm. 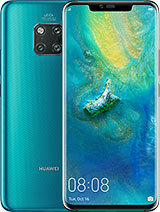 Music quality is pretty good, touch is really sensitive and smooth so you do go where to tap, camera is good and enough for taking normal pics and average use. 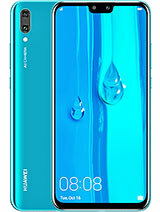 This phone has amazing value for money, and I give a 100% recommendation of it to those who are currently using feature phones and wanna switch to smartphones but are short on cash. 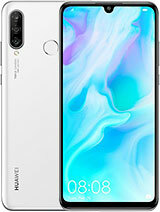 In other words, This Smartphone Rocks! I have def gotten ma fingers burnt on this 1, who would have thought ideos daent support 2go..ma crappy ZTE does, it daent even make sense..why have all those fancy apps and u cnt even get the basics. 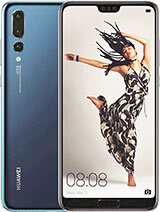 Total of 2526 user reviews and opinions for Huawei U8150 IDEOS.